Describe the importance of below-grade waterproofing. Discuss the history of below-grade waterproofing and associated product types. Explain important industry terms and definitions, as well as their relevance to below-grade waterproofing. Discuss possible failure modes and the serious impact such failures can have on the building and the occupants. List keys to success in below-grade waterproofing. The practice of waterproofing has existed in some form for more than 2,500 years, and it is an essential element for ensuring building longevity. Since humans first began creating dwellings, we have found a need to separate ourselves from the elements, and subsequently, we have taken various approaches to treating our structures’ surfaces to prevent the passage of water into or through the walls. Construction at the Denver Union Station. Liquid-applied waterproofing, which can either be carried out via hot or cold application systems to waterproof surfaces. Prefabricated membranes, which can take the form of modified bitumen, elastomeric or thermoplastic sheets that can be easily applied to surfaces. Mineral-based systems, which include bentonite clay (which expands when wet to protect concrete and fill small cracks and voids) and crystalline waterproofing materials (which penetrate concrete and seal capillaries) to keep moisture infiltration at bay. A full understanding of the properties, strengths and limitations of various materials, as well as the forces you might be working against when attempting to protect a structure, is critical to “getting it right” when designing a waterproofing system. 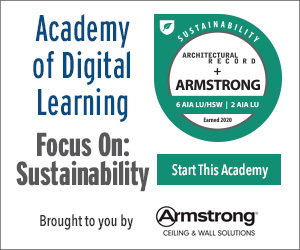 For this reason, this course will cover not only why below-grade waterproofing (specifically) is important, but also the environmental, installation and other factors that play into designing and deploying a successful waterproofing assembly. Why Focus on Below-Grade Waterproofing? While the highly visible elements of a building typically receive the most attention, we know it’s the unseen components that often have the greatest impact on the building’s performance and lifespan, as well as potential cost overruns and delays during construction. This is as true with waterproofing elements as it is with anything else—the most visible materials gain the most mindshare, but the hidden materials may make the most difference when protecting the building. Consider the foundation of a building. As a construction professional, you know that the foundation is the core of an amazing structure, yet we collectively have a tendency to avoid spending much time on the foundation when designing and constructing buildings. Part of the issue is that foundations are seldom the most glamorous parts of a building. Below-ground levels, whether building basements, parking garages or otherwise, sometimes suffer from an “out of sight, out of mind” mentality when buildings are being designed, yet the quality of their construction could not be more important to building longevity. Failure to pay adequate attention to below-ground levels when designing a building can lead to significant problems. If the design, installation and inspections of foundations/basements are ignored, or if below-grade waterproofing (i.e., waterproofing below ground level) is not installed or is inappropriately installed, this can lead to serious negative impact on the building lifespan and performance. Repair or remediation work can be very expensive when leaks are found in below-grade waterproofing. In some cases, repairs may not even be possible given that the cause of leaks could be literally buried and difficult to access. As a result, if you want to avoid future expensive fixes, it is worth your time to focus up front on mitigating the potential for migration of moisture in the foundation of a building. The following sections of this article will cover the finer points of below-grade waterproofing, including the environmental forces that create the need for below-grade waterproofing, the design and decision-making process that should be followed, installation challenges and also what happens when there are failures with below-grade waterproofing systems. There are three major environmental forces that we must contend with to avoid unwanted moisture infiltration: hydrostatic pressure, capillary action and the water table. Hydrostatic pressure is pressure exerted by a stationary liquid in all directions against adjacent surfaces. Water exerts 0.43 psi of pressure for every foot of water present, and this pressure increases with depth and seasonal rainfall levels. Hydrostatic pressure is determined by multiplying liquid density by gravitational force by depth-related pressure. 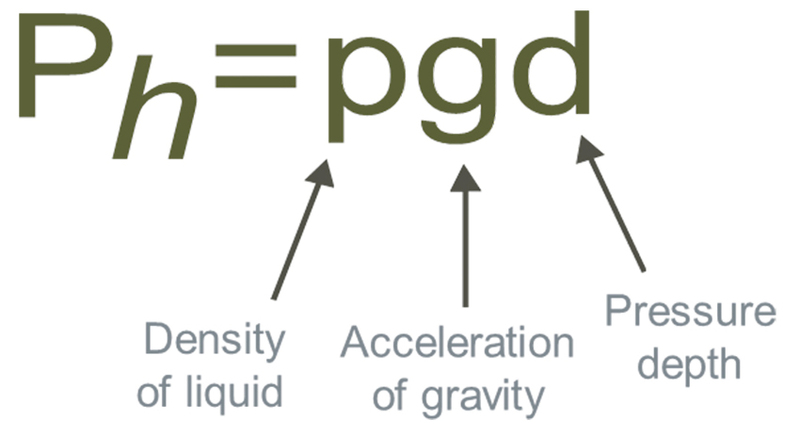 As this equation shows, hydrostatic pressure is determined by multiplying liquid density by gravitational force by depth-related pressure. Think about what happens when you dive to the bottom of a pool, or better yet, picture what happens to a submarine as it dives. You feel more pressure exerted upon you the deeper you dive, and the same happens to the submarine’s hull on a more intense level. If you’ve experienced this phenomenon, you’ve experienced hydrostatic pressure. Foundations below the groundwater line, often called the water table, are subjected to hydrostatic pressure. This pressure from the force of the water-saturated soil can occur against vertical foundation walls as well as under-the-floor slabs. Capillary action is the second environmental force of which you should be aware. Capillary action (sometimes denoted as “capillarity,” “capillary motion” or “wicking”) refers to the ability of water to flow in narrow spaces without the assistance of—and in the opposite direction of—gravity due to hydrostatic pressure. Capillary action will vary by soil types. For example, water will rise in all soils except gravel and can rise as much as 6 feet above the water table in clay and silt. But why does capillary action matter for your building? Consider this example. Water migrating into and through a foundation from water saturated soil can cause the structure to become vulnerable with expensive repairs. 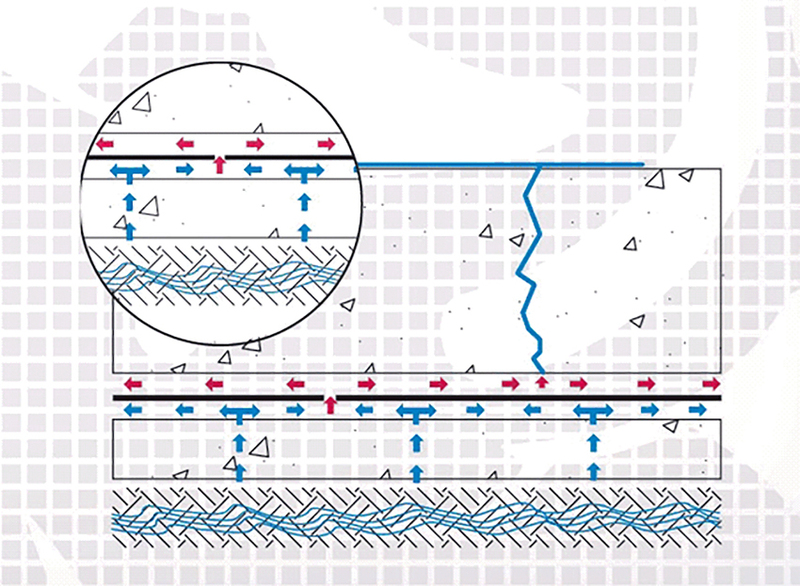 The image above shows how capillary action affects the migration of water through a slab foundation. Hydrostatic pressure can force the migration of water through any punctures or gaps in the membrane ultimately leading to water infiltration inside the building. It is also worth noting that additional construction in nearby locations can affect the water table, i.e., the level below which the ground becomes saturated with water. As a result, the hydrostatic pressure exerted on your building could change, subsequently affecting the capillary action within your building materials. 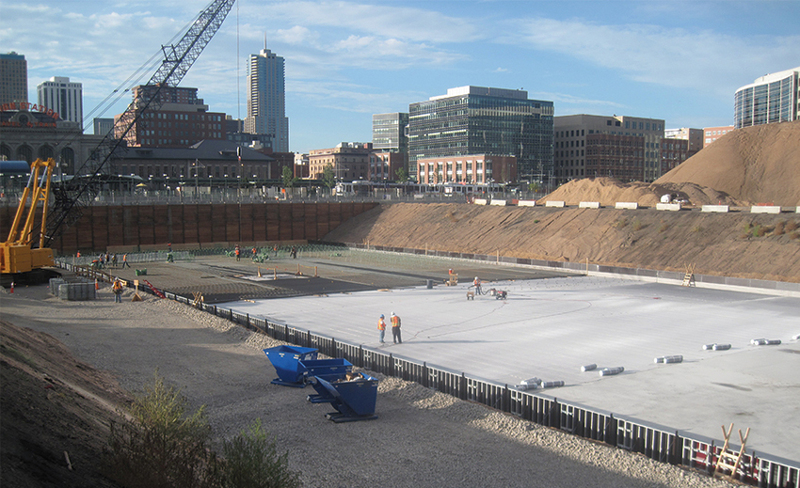 Now that we have established the ground moisture-related environmental forces affecting your building, it is time to cover how these forces should impact your waterproofing-related design decisions.